For Christmas, as a member of the Collective Bias® Social Fabric® Community I participated in a shop to share Walmart Family Mobile affordable rates and service. I have been compensated as part of a social shopper insights study for Collective Bias and their client. Earlier this month, I started my Christmas shopping for various family members. A few gifts were easy, such as canvas prints and photo books from our wedding but it’s always hard to think about what else to get the in-laws. The thought of a cheap wireless plan with unlimited minutes, text, and data with a new smartphone came to mind. 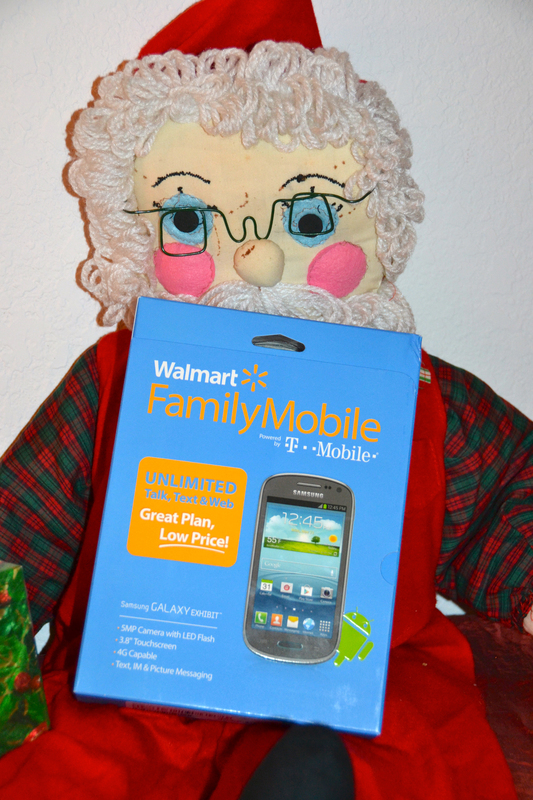 As discussed in an earlier post, Walmart Family Mobile can be great for those who don’t want to commitment to a contract and receive an affordable flat rates for their mobile service. 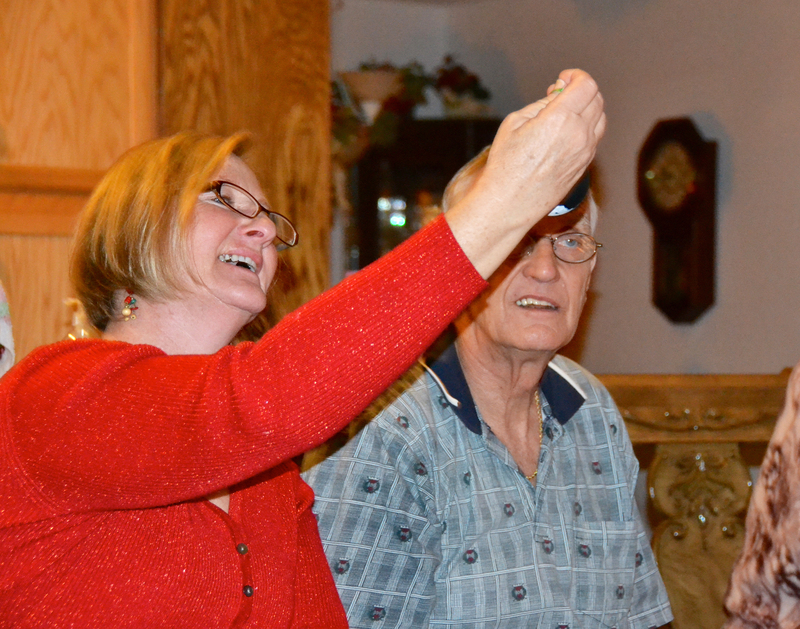 My in-laws are not the most technology savvy. They have a very basic cell phone with limited capabilities, including only voice minutes to use. 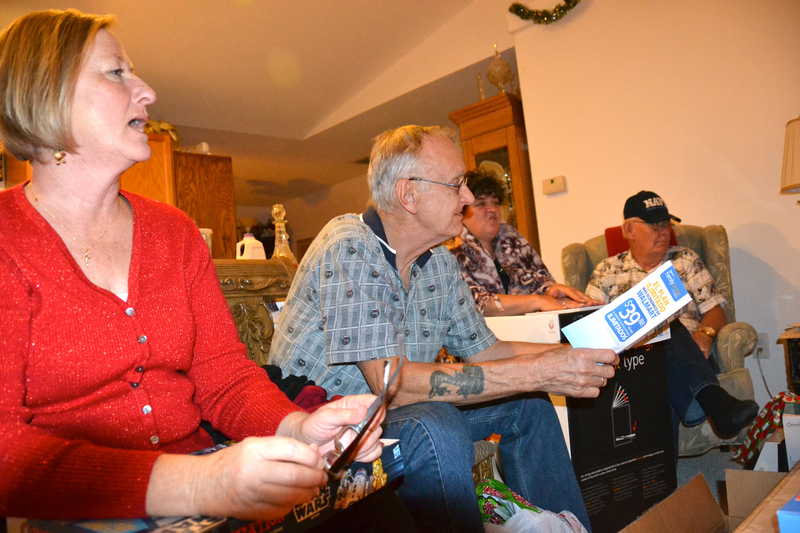 Knowing this present would come as a total surprised to them, I made sure to grab the brochure on the Walmart Family Mobile plans and services. This would come in handy explaining more about the phones and services for them after opening the present. The present was wrapped and ready to head to the in-laws on Christmas day to celebrate the day with them and exchange gifts with family. We made sure to wrap in the Christmas bag the Samsung Galaxy Exhibit 4G, Walmart Family Mobile starter kit, brochure on the plan, and a 2 year extended warranty for the phone from Walmart. 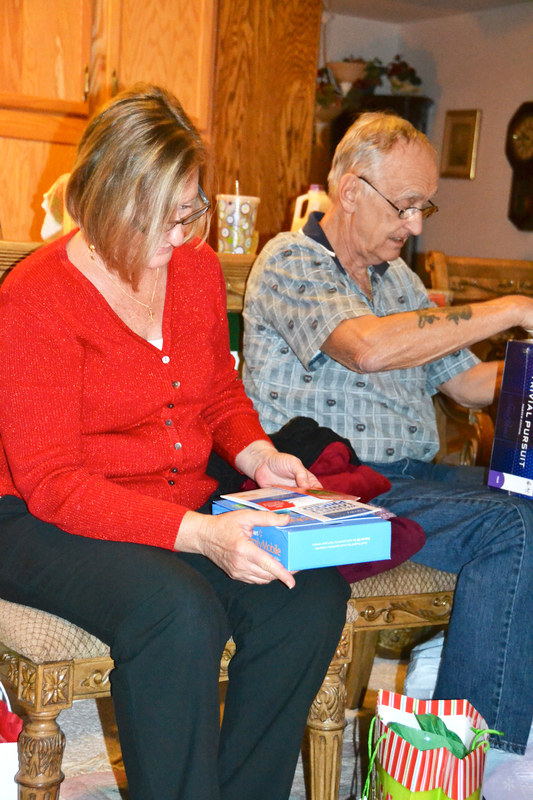 We decided to save this present for last, since we expected to explain all about the smartphone, services, and plan options available to them. It was a great surprise to save for the end but it did take a bit of explaining. The Samsung Galaxy Exhibit 4G seemed like a good affordable starter smartphone for new user. We explained the Internet options on the phone would allow them to search prices on items they find at garage sales, compare prices on products they are shopping for at store, and quickly look of information about places when traveling. The phone had GPS option with easy to use maps. A camera would allow them to grab quick photos while on the go, without having to always remember the camera on your way out the door. All of these are new features, for the non-smartphone users. My mother in-law asked about the option for games on the smartphone as well. Yes, games are apps available through the Google Play Store, from Angry Birds to Candy Crush. Exploring various apps would lead them to download other apps (beside games) in the future to make life tasks a little easier. I think they took the most comfort in knowing the Walmart Family Plan was an affordable unlimited plan with a choice of unlimited minutes and text or minutes, text, and data. I don’t think they will be using the text messaging option heavily but it’s nice to know they won’t have to worry about how many they are reaching from their children or grand children. It comes as a comfort to them that it wasn’t a contract they had to keep for several years and they owned the phone without having to pay to get out of their contract, if they decided to change services. I think this comes as a comfort to many who are new to the plethora of options in services available through different providers. We didn’t get a chance to walk them through all the easy setup of Walmart Family Services account management https://www.myfamilymobile.com/ and a smartphone tutorial yet. I’m sure that will be coming very soon. I will say that a 6 year old grandchild’s handmade ornament, wins out in the excitement of presents every time thou.